Hello my lovelies! 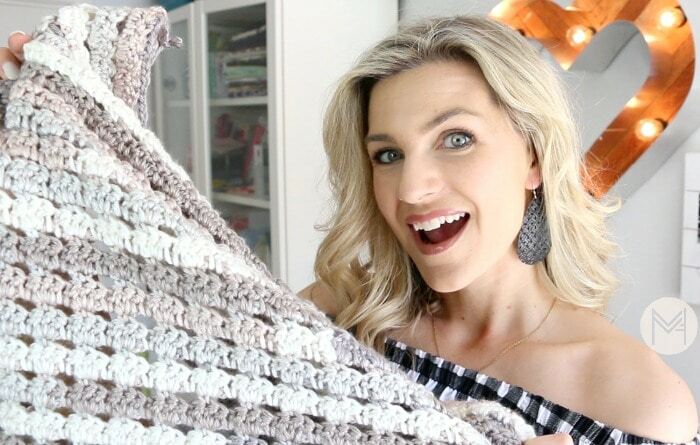 I have a new easy shell crochet blanket tutorial for you!! This was specifically requested by my Facebook live audience a few weeks back, so I’m happy to be able to be able to share it with you today! 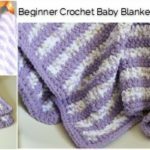 Yarn of choice – use what you think is pretty! Start with any yarn of choice. 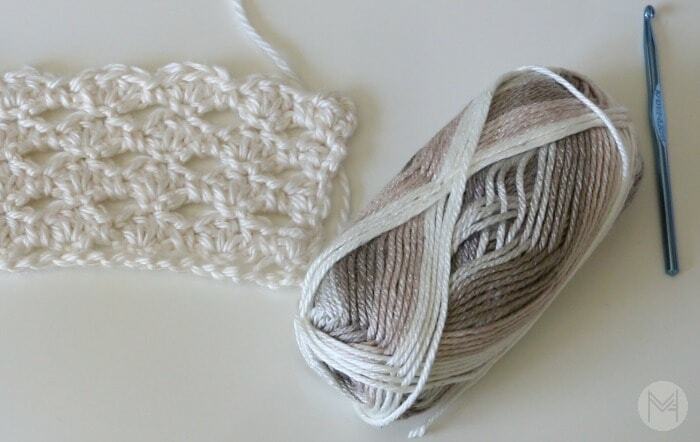 Use the recommended hook size on the yarn packaging. Chain a multiple of 3 and then add 2. So I chained 81(81/3=27) and added 2 for a total of 83. Single crochet (sc) in the 2nd chain from hook. Chain 3, skip 2 foundation chains and sc in the 3rd chain along the foundation and repeat to the end. Be sure you are able to sc in the final foundation chain. Chain 3 (counts as dc), turn work and double crochet (dc) in the first sc stitch. sc in ch 3 space, 3dc in next sc and repeat. Insert 2dc in last sc. sc in the top of the turning chain to finish this row. Alternate Row 3 and 4 for the remainder of the blanket. The yarn I used was Red Heart Soft Essentials in the color Linen. This blanket used 4 skeins, but it was a smaller sample/baby size, so you will likely want more 😉 The multiples are written out for you to make it larger, I would guess 8-10 skeins for a good size throw. *If you want to have the pdf version, click HERE, enter your email and it will be sent automatically to your inbox. 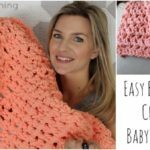 Here is the full video tutorial for you to make this easy shell crochet blanket! It has tons of tips and tricks along the way… I am so glad you have this resource, it’s better than taking a class! You have all the steps you need to be successful with this project which is my favorite thing! 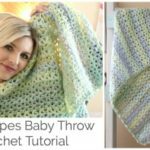 Could this same pattern be applied to the bernat blanket size yarn, if so what size hook woould you recommend. How mini skeins did you use, what color and what type of yarn did you use? I am also trying to download the PDF but when I subscribe it’s not working. How many skeins did you use for this? I really love this crochet blanket. You make it so easy and I love your tutorials. Thank you for making me love crocheting again. Gorgeous blanket! Can’t wait to give this a try. What size yard do you use in your video?? Email link is not working! Love your Shell Blanket pattern, you have inspired me to make a blanket! Thank you for your crochet love..will keep watching you! Love all of your projects! 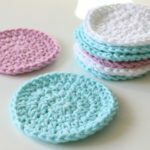 Thanks for all of the beautiful crochet tutorials! 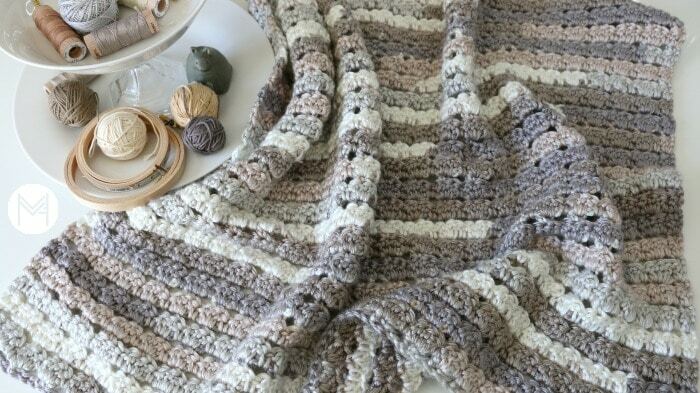 Just wondering how many skeins of yarn did you use to make your blanket? I am so glad I found your channel! You are so personal and have great quality videos! Keep them coming! 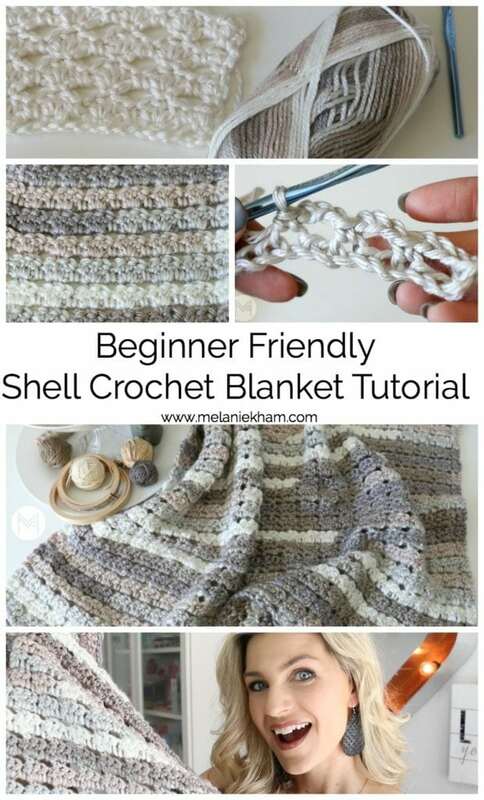 What brand and color yarn did you use for the shell blanket? Love the mix of color. She used red heart soft yarn in the color linen! Do you know how many skeins she used? Love the shell pattern. Have to try it.